Global firms looking to enter a rising business market in order to increase profits and brand awareness often expand their business operations into Canada. Though this can be an excellent business decision, it does come with its unique challenges. Most notably, managing Canadian employees will be one of the most difficult parts of expanding operations into the Great White North. The global firms that do not manage their new workforces properly end up making costly mistakes that can harm their image and their bottom line. Global firms make these and other payroll mistakes commonly most often because they do not have the knowledge, skills, and experience needed to properly process and administer payroll, because they are following the tax and payroll regulations of their home country, or because they are swamped and not giving the task the level of focus it needs in order to ensure accuracy. 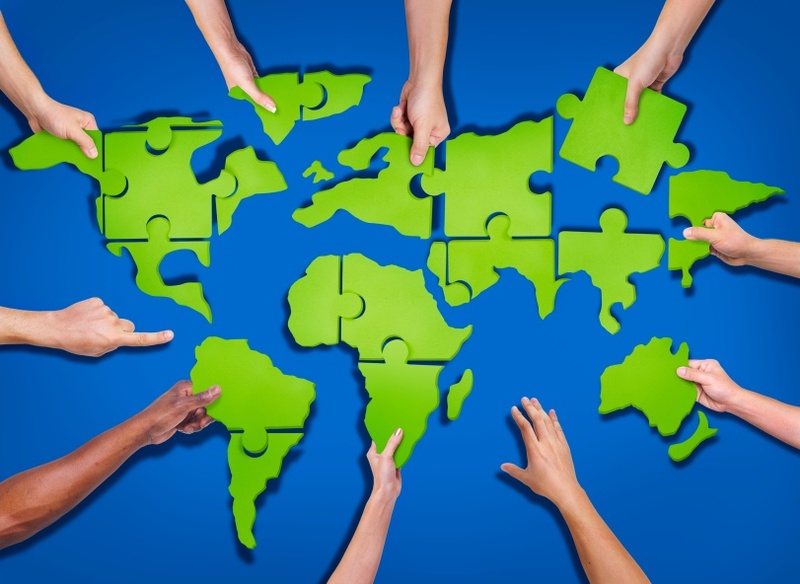 Many global firms are also guilty of making human resources mistakes while managing Canadian employees. They might not hire the right candidates, document and report issues, use up-to-date employee handbooks, train properly, or ensure employee files are appropriately filled out and filed. Even more dangerously, though, some global firms don’t understand the basic employment laws of the country, including the standards and regulations surrounding hiring, firing, layoffs, discrimination, leaves, disability, immigration, and health and safety. When it comes to labour laws, health, and safety in particular, compliance is vital. Having a “what-works-at-home” mentality can be disastrous when managing Canadian employees. Making payroll and human resources mistakes while managing Canadian employees can be costly to your international company. Cutting corners, not bothering to look up and learn the appropriate legislature, and not making compliance a top priority can be devastating. You can face civil lawsuits from your employees that will cost you in large settlements, you can be hit with substantial fines and penalties if you do not follow the government’s regulations, and you can be forced to pay interest fees if you’re late on any government deadlines. Additionally, making payroll and human resources mistakes can put your employees at risk of harm and damage your reputation in your industry. 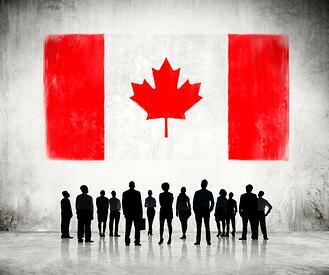 You cannot overlook the importance of managing Canadian employees properly. If you fail to meet your obligations as an employer, the costly mistakes you make can significantly hurt your expansion efforts. To avoid making payroll and human resources mistakes and to ensure your firm is always compliant to Canadian law, consider utilizing the services of an employer of record (EOR). The EOR will take over as the legal employer to your workforce, and as such, will handle the responsibilities and liabilities that come with employing Canadian workers. The EOR will comply with all federal and provincial labour and payroll regulations, including taxation, employment standards, and health and safety. It will ensure ongoing compliance as these regulations evolve and change. It will take care of filling out the required paperwork. It will remit all information and payments to the government. And it will guarantee accuracy. An employer of record will manage your Canadian workforce, so you don’t have to worry about making costly mistakes. With an EOR, you can get back to focusing on your business expansion, all the while knowing that your new employees are being well managed. Whether you’re expanding your business operations across the border or just employ Canadian workers for their specialized skills, you must manage Canadian employees properly—this means complying with Canadian health and safety regulations and labour laws while handling the day-to-date human resources responsibilities, such as onboarding, termination, contract negotiations, benefits administration, and more. There will be both big and small differences in legislature. And the small differences can be easy to overlook. The fact is you cannot manage Canadian employees in the same way you manage your American workers. You need to do so while following different standards and procedures. To manage Canadian employees, you have three options: do it on your own, outsource the responsibility to a back office service provider, or engage an employer of record. Below, we detail the three options so you can make an informed decision in order to better serve your employees across the border. 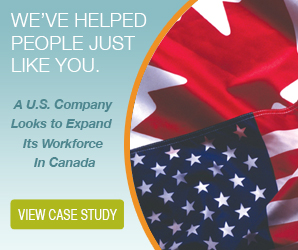 Many American companies that employ Canadian workers choose to manage them in-house. Although this is a viable option, it’s also cumbersome, complex, and time consuming to handle the responsibility on your own. When you’re thousands of miles away and don’t have the required knowledge of Canadian labour laws, this option becomes risky. For one, human resources issues are often better handled face to face than over Skype or email. They’ll be resolved faster and more efficiently when they’re dealt with in person. Plus, all HR decisions need to be based on the appropriate Canadian employment regulations, protocols, and standards, or you run the risk of a bad reputation, lawsuits, fines, and penalties. There are specific laws that apply to hiring, firing, layoffs, human rights, health and safety, and everything in between in Canada. You must follow these laws to the letter. This will require extensive research on your part, especially considering the laws change often. Do you really have the time to research every decision? Can you risk the consequences of non-compliance? If this option seems too risky, you have two others to consider. Many foreign companies falsely believe that back office service provider only offer one service: payroll processing. Many providers actually offer HR assistance as well. In fact, they offer comprehensive approaches to human resources. They take over all of the paperwork, provide legal guidance, recommendations, and advice, and most importantly, ensure compliance. You can mitigate risks associated with managing your Canadian workers when you outsource to a back office service provider. An employer of record (EOR) will take over your HR responsibilities much like a back office service provider would. The difference with this option is that engaging an EOR means you’re setting up an opportunity for co-employment. Though your Canadian employees will still do the work they normally do for you, your EOR will be their legal employer in the eyes of the government. This largely reduces much of the responsibility and risk associated with managing your Canadian workers when it comes to legal issues, insurance, and payroll processing. In order to manage Canadian employees legally, ethically, and properly, you must ensure that your American company always follows Canadian labour laws. You can do so on your own, but it’s going to be time consuming, overwhelming, and risky. Or, you can outsource your company’s HR responsibilities to a back officer service provider or an employer of record. Both of these options will be more cost effective, save you time, and ensure that you’re always in compliance. If you’re not well versed in Canadian human resource management, you should seek the help of professionals who are. Back officer service providers and employers of record have HR specialists and legal experts on staff to serve your American company.